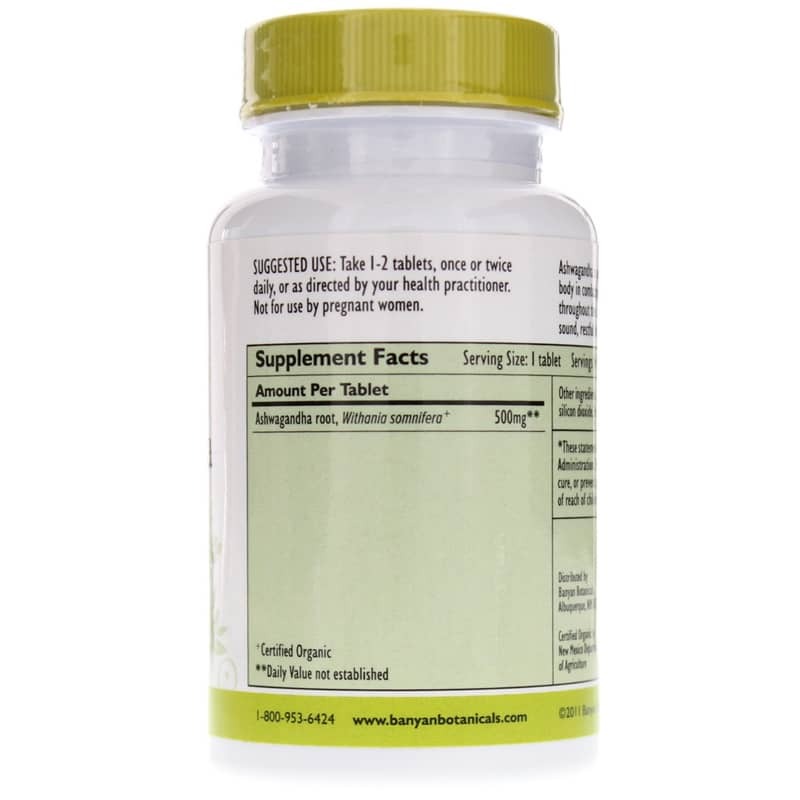 Ashwagandha from Banyan Botanicals is a certified-organic supplement to support healthy adrenals and help your body combat stress. In ayurvedic medicine, a Hindu system of traditional medicine native to India, ashwagandha is used to help rejuvenate the Vata and Kapha to promote vitality and strength. This alternative form of medicine believes that ashwagandha promotes energy and vitality throughout the day while calming the body and promoting sound restful sleep at night. It is also considered one of the best herbs in ayurvedic medicine for revitalizing the male reproductive system. And it may help maintain proper nourishment of the tissues, especially muscle and bone, while supporting proper function of the adrenals. 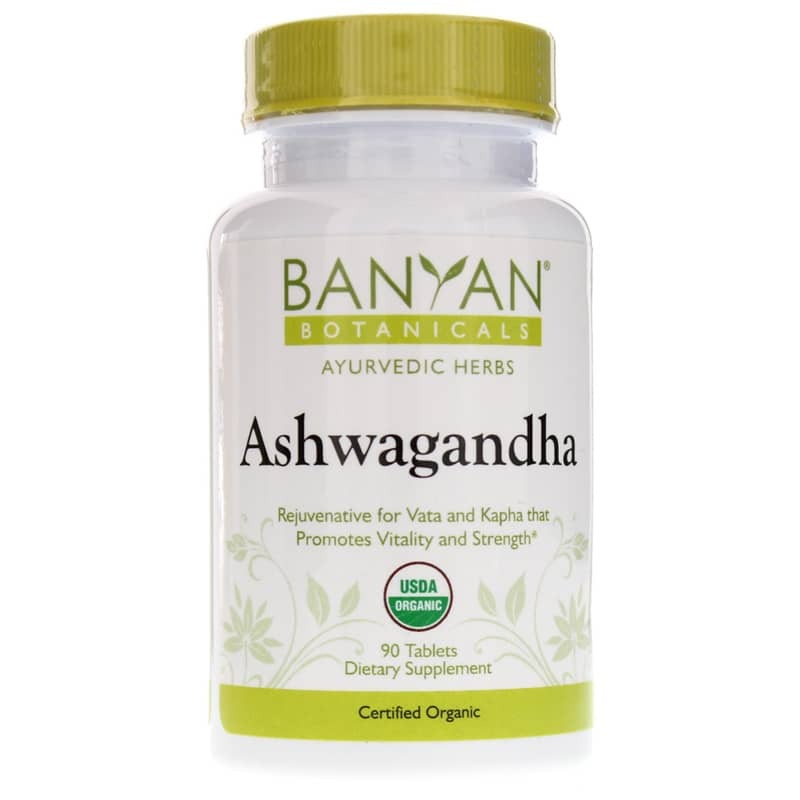 Banyan Botanicals prefers tablets over capsules for ashwagandha, as there is still some mild tasting of the herb. Banyan believes taste starts the digestive process and sends signals to the body, initiating your inner-pharmacy. To ensure sustainability, Banyan sources ashwagandha from privately owned farms that follow fair-trade principles. Sourcing from private farms also helps the company ensure organic farming methods are followed. 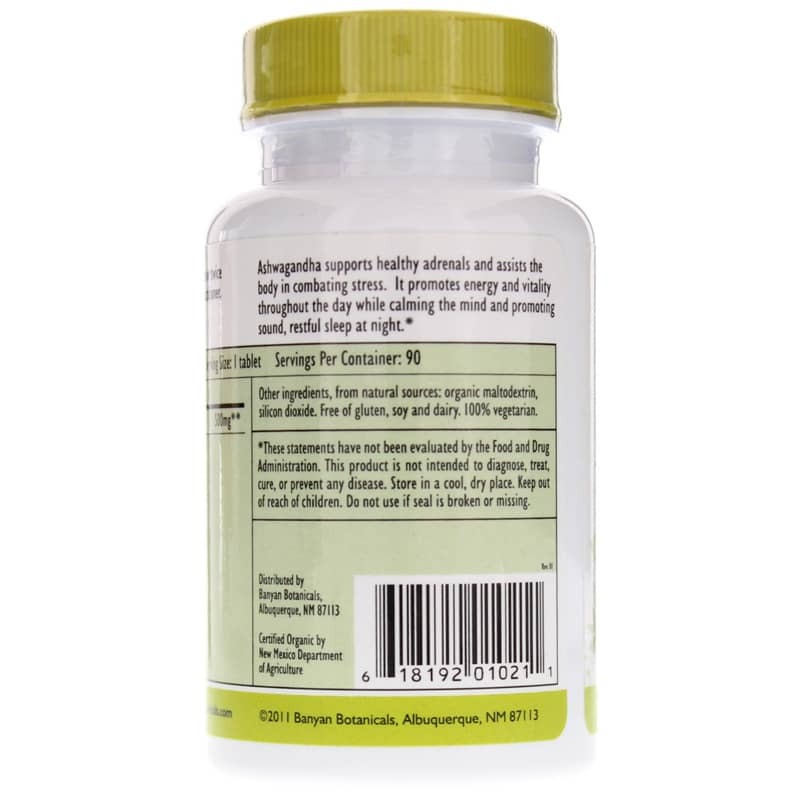 Banyans Ashwagandha is USDA certified organic. Other ingredients, from natural sources: organic maltodextrin, silicon dioxide. Contains NO: gluten, soy and dairy. 100% vegetarian. Banyan Botanicals contain no animal products and are suitable for vegetarians.